FREE SHIPPING ON ORDERS OVER $49 - USE CODE "FREESHIP" AT CHECKOUT - OR CLICK HERE TO APPLY THE CODE NOW! April 12, 2019 What We Value! April 11, 2019 We are CompanyWeek's 2019 Outstanding Colorado Food Manufacturer! 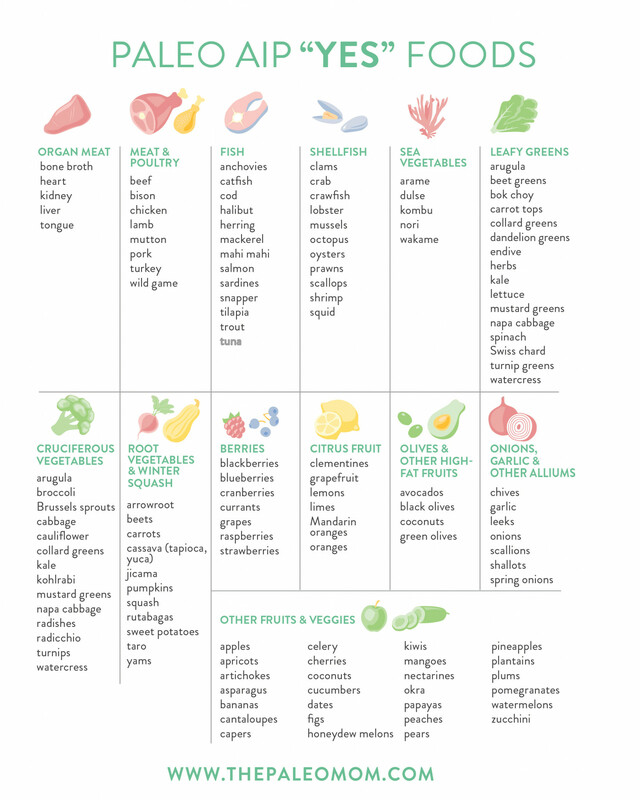 Vegetables are the key to nutrient-dense, elimination diets like the Paleo and AIP diet. Here are some recipes to give more life to our fibrous friends. Brussels sprouts are a multi-tasking vegetable packed with nutritional benefits! If they aren’t in your diet because you have sour childhood memories of boiled brussels sprouts (me), it’s time to change your tune! This recipe will help you achieve that crispy, restaurant-style sprout at home. These Lemon Rosemary Cranberry Brussels Sprouts are a perfect spring-time vegetable. They are citrusy and herbaceous with a touch of sweetness from the dried cranberries. I love to incorporate them into my weekly meal plan routine because they are rich in fiber that regulates gut health and digestion, high in vitamin C which helps your body absorb iron and boost immune function, and are packed with your full daily recommendation of vitamin K, which improves bone health. Cut all of your brussels sprout bulbs in half and lay them out on a sheet pan. Press them with a paper towel and sprinkle ½ Tbsp sea salt over them in order to draw out moisture. Let them rest there for 10 minutes while your oven preheats. This will dry them out and lead to those crispy leaves you are looking for! Place the sprouts in the oven on the middle-rack and let them bake for 10 minutes. Open the oven, shake the pan or use a wood spoon to turn over the sprouts. Bake another 5 minutes. The leaves should be browning and the sprouts will develop light golden brown color. While the sprouts are in the oven, dice the garlic and pull the rosemary needles off of the sprig and chop roughly. Take the pan out, and turn the oven down to 400°. Place the sprouts in a large mixing bowl and add the olive oil, garlic, and half of the rosemary. Mix everything together, and spread the sprouts back in the pan. Bake for another 30 minutes. While the sprouts are baking, chop the Mediterranean Lamb Bar into small pieces. Pull the sprouts out and give the pan a good (and careful) shake so that you can get an even bake. Sprinkle the chopped lamb bars and the rest of the rosemary over the sprouts and add the juice from half a lemon over the top. Place the sprouts back in the oven for the last 10-15 minutes. Pull the sprouts out for the last time (phew!) and add the cranberries. Taste the sprouts and add more lemon and sea salt to your preference! I oftentimes pair these with roasted chicken breasts or seared lamb chops! The kids love them and your gut will thank you. Michelle from Unbound Wellness provides so many Paleo, AIP and Whole 30 recipes that are highly creative and incredibly easy to achieve! Her Hashimoto's diagnosis has led to such empathetic and practical knowledge that makes her recipe content as educational as it is delicious. She makes me feel like a chef on a regular basis. My favorite veggie recipe? 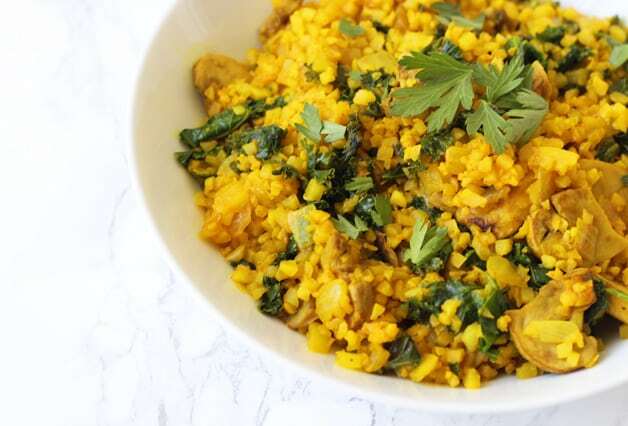 Her Turmeric Cauliflower Risotto! She walks you through the anti-inflammatory and antioxidant benefits and even teaches you to make your own bone broth. It’s a must-try! I go to Angie from Autoimmune Wellness (I know I always talk about them, but they’re the experts) for recipes every time I’m in a cooking funk. Her recipes are incredibly well-balanced and thoughtfully put together. I’ve said it before, but I’ll say it again: salads do not generally excite me. A bowl of greens, while great for me, often leaves me wanting more. This Beet and Blueberry Chop Salad is a very tasty exception! The golden beets prepared in this way are perfect. They are not overwhelmingly earthy as they sometimes can be in their raw state, and paired with the tart blueberry and slightly sweet balsamic dressing, they are beautiful. I’m gushing, can you tell? Biohack U puts out tons of innovative AIP and low-fodmap recipes like this Rhubarb Ginger-glazed Bok Choy with Bacon. They often force me to branch out and try cooking things I haven’t tried before. This bok choy is savory and deeply satisfying, plus it really impresses at a dinner party! Need more information about the AIP Diet? In case you are new to the term Autoimmune Paleo Protocol Diet (AIP), it is a slightly more restrictive version of the Paleo diet. Along with the foods you cannot eat on the Paleo diet, AIP elimina tes nightshades, alcohol, eggs, nuts, and seeds. These foods have nutritional benefits and are not harmful to everyone. But for some, eliminating them from their diet reduces inflammation, supports more prosperous gut health (no more leaky gut), and helps combat the frustrating, chronic effects of autoimmune diseases. Once your body has adjusted to the much more limited food selection and you feel better, you can slowly reintroduce foods. The process will give you a greater understanding of what triggers your own immune system. For more information on this, Dr. Sarah Ballantyne from The Paleo Mom provides detailed, step-by-step information about the AIP diet (like the graphic to the right). So whether you follow the AIP or Paleo diet, these recipes are safe for you. This recipe was inspired by a serious chocolate craving and a brown pile of bananas that had been staring at me for a while. It is paleo, gluten-free, dairy-free, nut-free and has no added sugar, but has tons of flavor. The sugar from the banana breaks down as it bakes to add sweetness and moisture, while the dark chocolate baking cocoa adds a deep, sharp chocolaty flavor. Sea salt adds just the right amount of savory to every bite so that it's not too rich. That way, you don't have to stop at just one piece. Yes, close your eyes and you can taste the carnitas (braised Mexican shredded pork). But unlike carnitas or tacos, the Wild Zora Taco Pork bar fits in your pocket. It’s not messy or sticky. Did we mention it was tasty? Wait, there is more. It’s healthy! Did you know jalapeño and cilantro have medicinal properties? Are jalapeños good for you? Just like any of its cousins in the pepper family, jalapeños are rich in vitamin C, helping boost your immunity, fight free radicals, and support healthy bones, teeth and gums. You will find a hefty dose of vitamin A in jalapeños, too. The compound that makes jalapeño a health powerhouse, however, is capsaicin. It is the naturally occurring chemical that gives peppers their heat. Capsaicin is a stimulant, similar to caffeine, without the unpleasant side effects, like caffeine “jitters” or heart palpitations. Capsaicin is also known to have pain-relieving properties. It is used in natural ointments to help combat arthritis and muscle pain. There are studies that suggest that capsaicin can help curb your appetite and as such, can be helpful if you are struggling with portion control. Not ready to bite into a raw jalapeño? Try our Taco Pork bar. The jalapeño is carefully blended with other spices and aromatics, creating a pleasant warmth. Many people hate cilantro with a passion. It’s rarely a love at the first bite, but if you're not a cilantro fan, you might want to give it one more chance. If you're already a cilantro fan, then you'll definitely want to eat more! Cilantro, or coriander leaves, is rich in vitamins, fiber, and minerals. It’s one of the best sources of vitamin K. It has antiseptic properties and also eases digestive issues, namely excess gas. It supports kidney health and it is believed to be a powerful aid in body cleansing. Still can’t get over the flavor? Start small; chop a few leaves and add them to your salsa. Or, grab a Taco Pork bar — the cilantro is present in the blend, but it's very subtle. Wait! What about the meat? Is pork healthy? Pork is rarely considered to be “healthy food”, which is unfair: pork is rich in B vitamins, selenium, potassium, iron, magnesium, and zinc. Unfortunately, pork is often consumed in the form of sausages, bacon, and other cured meats, which tend to be high in salt, nitrates, added sugar, and preservatives (things that Wild Zora would NEVER use)! On top of that, the majority of commercially produced pork is laden with antibiotics because the pigs often live in horrible conditions. The pigs are forced to live in confined spaces, sometimes in their own filth. Such environments don't produce healthy animals, as you can imagine. Pigs are not picky eaters and some "farmers" will feed them all sorts scraps, including rendered pig flesh. Doesn't sound healthy, does it? Luckily, there are farmers who are determined to raise pigs in the way nature intended, and because Zora insisted, we found pig farmers who raise their pigs naturally, with respect to their needs and health. Our piggies have plenty of space, fresh air, and fresh, clean straw for bedding. The farmers feed them a vegetarian diet, rich in protein. They are healthy, so they don’t need antibiotics. We take animal welfare seriously and we were happy to find farmers whose standards match ours. We were delighted when we tasted this pork! With just the right marbling, it's succulent and rich tasting. And because we know the hogs were living healthy lives, we know this is healthy meat. Try it for yourself! ﻿ARE YOU READY FOR YOUR PORK TACO BARS? For more information, special discounts and $8 off your next order, sign up for our newsletter! Only the best ingredients make their way into the Wild Zora Bars. We talked about the grass-fed beef, now let’s shed some light on our lamb. The Mediterranean Lamb Bar is one of our bestsellers. No wonder: it's Paleo certified, Whole30 approved, AIP compliant....and delicious! We were determined to find the best lamb possible. We wanted to know that the animals are fully grass-fed and are free to roam. We prefer to work with local farmers, so we can see the living conditions of the animals of ourselves. Because the meat labels don't have a unified standard, we decided not to rely on them. We knew we wanted grass-fed lamb. Sheep have a fairly high amount of body fat and grain diet will only increase it, resulting in unpleasantly greasy meat. Texture and flavor aside, lambs that eat grass, similarly to grass-fed beef, are higher in nutrients. Lamb is an excellent source of vitamin B, iron, and CLA. Sheep are excellent natural lawn mowers. They only eat the top parts of grasses and other plants, not pulling their roots. Unlike goats, sheep are not picky eaters and will eat a variety of weeds, eliminating the need for pesticides. "So, why is your lamb labeled 'All Natural'?" When we tried a “100% grass-fed” labeled lamb from Colorado, we weren't impressed. Although Colorado is one of the top lamb producers in the US, the harsh winters impact the taste if the animals aren't allowed to go in the barns when they choose. The lamb we tasted wasn't quite fatty enough, resulting in a tough texture and a "gamey" taste. Because we promised to bring you snacks that are not only healthy but also taste great, the "grass-fed" lamb just didn't meet our standards. Now we use an “all-natural” lamb from a local rancher in Colorado that doesn’t have the official certifications, but the animals have the ability to move freely in and out of the barns as they choose, they look healthy and happy, and the taste is superior. The meat is still completely free of growth hormones and antibiotics. Knowing all this is far more important to us than a flashy label. Pairing the tender local lamb with rosemary and turmeric resulted in a meat bar that will take your snacking to another level. Are you ready for your Wild Zora Lamb Bar? For more information, special discounts and $6 off your next order, sign up for our newsletter! Good food starts with good ingredients. That's exactly what you get whenever you take a bite of a Wild Zora bar. Wonderful taste and nutritional value are important to us, but we go even further. The ingredients we use are grown and raised with minimal environmental impact. That's why we make our bars with organic fruits and veggies. Our meats are locally sourced, to avoid the carbon footprint of international transportation. People often ask whether we use organic meats. The answer is shocking to some: No. We use animals from local farmers, which means we know how the animals are treated and what they eat. Why not just go with organic? Organic fruits and vegetables are pretty straightforward: you know they were grown naturally, without pesticides or other harmful chemicals. Meat production is a bit more complicated. Let's take a closer look at beef, for example. The organic label doesn't mean that the animals are grass-fed or raised on a pasture. For example, they can be raised in a feedlot, standing in their own you-know-what, eating "organic" grains (and getting the same metabolic diseases that we humans get when we eat too much grain!). So because the "organic" label didn't meet our standards for beef quality, we decided to visit local farmers and find meat that comes from pasture-raised, grass-fed, grass-finished, well tended and healthy animals. "Organic" label is not the only one that can be misleading. When you shop for beef, you will notice there is grass-fed, grass-finished, natural, 100% grass-fed... what does it mean? Definitions vary, but unless the grass-fed beef is AGA certified, you can't be sure that the animals were raised solely on grass. USDA grass-fed certificate is based on written description of farming practices submitted by the farmer; the USDA does not visit the farms! To muddy the waters even further, farmers can choose to use the grass-fed label (as long as it doesn't say "certified") even when their cattle is grain-finished. All US cattle start their life grazing on a pasture. However, the majority of them get "finished" with grain on a feedlot. With grain, they put on weight (and, unfortunately often get sick) quickly, resulting in a lower price of meat. But that meat can still be sold as grass-fed at a higher price point! What this means for you: if you want to eat truly 100% grass-fed beef, look for 100% grass-fed/grass-finished beef, like the kind used in Wild Zora beef bars. What's the problem with grain-fed beef? Cows are meant to eat grass. Eating grains is hard on their digestive system. They are more likely to get sick and require antibiotics. Also, the delivery of the feed matters. Grain-fed cattle stand in a feedlot instead of walking and grazing on a pasture. It is natural for them to walk and to be able to lie down. The crowded feedlots don't allow for that and the animals are often uncomfortable and stressed. At Wild Zora, we like using meat from farmers we know: We know they treat their animals with respect and care. Clearly, a feedlot is not a humane environment for cattle, even if the grain they eat is organic. Commercially produced grain-fed beef is likely to contain antibiotics and growth hormones. And even if you choose meat labeled as "no antibiotics", you are still missing out: Grain-fed beef is significantly lower in Omega-3 acids and vitamins A and E. Eating 100% grass-fed and grass-finished beef will provide your body with CLA, or conjugated linoleic acid, which is a powerful nutrient. CLA is thought to reduce the risk of cancer and heart disease. You might have heard that grass-fed cattle produce more methane, which is a greenhouse gas. Articles pushing this outdated claim tend to overlook all the benefits. Well managed pastures contain a variety of green plants which use the carbon dioxide from the atmosphere far better than farmed grain fields. Because animals pick their own food, farmers need to use less gas-powered machinery and electricity than when they harvest, process and deliver the grain. The animal waste is dispersed on the pasture, so there is no need to use machinery to move it. Unlike a grain field, a pasture is a diverse ecosystem with native plants. Grazing cattle also provide natural fertilizer, encouraging a healthy plant growth and improving the soil quality. Did we mention that grass-fed beef also tastes better? To see for yourself, try some today!